Today Givers forum is 47th most visited website in Nigeria, these ponzi scheme came to limelight due to the lingering recession in the Nigeria economy, but one can only imagine how long these schemes will sustain in Nigeria. Givers forum is an online money making ponzi scheme like i-Charity, MMM Nigeria, Crowd rising, Ultimate Cycler etc. Givers forum system operates more like MMM Nigeria. Here I discuss everything you need to know about Givers forum. 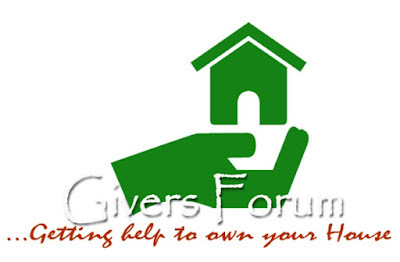 GIVERS FORUM is a community of givers, people who provide each other financial help on the principle of “Give, it shall be given unto you, good measure, pressed down, shaken together, running over…” In GIVERS FORUM you don’t have to make contracts or pledge your property, there are no lenders and no debtors. Everything is very simple: one participant asks for help — another one helps. The only thing that GIVERS FORUM demands from its participants is to be honest and kind to each other. You ask for financial help when you need it, you give financial help when you are able to do it. Just like every online ponzi scheme, Givers forum has no central account, where all the System money flows to (and where it can be easily stolen from). All the money is only in the bank accounts of the participants themselves! In a lot of thousand and million private accounts. Participants transfer to each other directly, without intermediaries! (What are they for? : HOUSING) In fact, GIVERS FORUM only regulates the process and makes available to members several affordable housing projects across the nation — nothing more. So the System completely belongs to the people. No kidding! It is a real mutual aid fund where ordinary people help each other to fulfil one of the most important needs in life. Anyone can become a member by registering FREE on their site "www.giversforum.com"
After successfully registering you log into your account known as Personal Office with the login details you registered with. Please note that the use of the words 10% a week cannot be considered as a yield or interest rate since the funds were given away in goodwill, we are not earning anything anywhere (we are a mutual-aid fund), it’s purely a reward for taking a risk to help a fellow participant. When registering in the system, you get a onetime reward from N1,000 to N50,000 as a token of appreciation for stepping out to help humanity (Strictly for those who make pledges immediately). GIVERS FORUM is the Community where people trust and help one another. That’s why it uses a principle — “only one account for one person”. Each participant has to have own bank account. The absence of multiple accounts (when one person registers in the system several times) — is the key to dynamic and sustainable development of the Community in the future. The one who creates multiple accounts, and in this way tries to obtain additional, not provided in the rules bonuses — deceives their colleagues and friends, and in the end — themselves. Such frauds will be blocked once and for all and immediately expelled from our community! We need only honest people in the community who change the world for the better! If you haven’t violated the rules but your account has been blocked, you should write to the Admin attaching the photo or scan of ID in order to confirm your identity. You might have been suspected of unfair participation and automatically blocked by the system. The Admin has effective tools to determine whether the accounts belong to the same person or to different people. If you only have one account and you follow these recommendations, you do not need to worry. In an extreme case, even if you have been blocked (temporarily), but you have followed all the recommendations — you will be able to confirm your identity, your account will be unlocked, and the growth of your contributions won’t be affected. That’s why you should play fair, keep calm! We’re on your side and God on our Side! If you are a beginner and still haven’t understood all functions of your Personal Office (PO) you can ask your upline to help you with your account. Never share your PO email & password. But in any case you do not give anyone the password of your PO. You have to follow these recommendations for your own safety. The Community members should understand that the GIVERS FORUM recommendations defend the interests of the participants in order to ensure steady work and stable payments. In GIVERS FORUM, money is redistributed among the Community members only. Being honest is the main priority for the Community because GIVERS FORUM was created not for getting richer but to make financial relations between people fairer so that many more people can own their own houses and at least live above POVERTY LINE. If you decide to participate in GIVERS FORUM. How to do that? It is simple! Just go directly with this points. Register on the websitegiversforum.com Enter the Personal Office (PO). If you want to put your money, so click “Provide Help” and point the sum of money, you would like to put in the System. The minimal sum is N5,000. You will get in the same moment the amount in your Earnings, and they begin to grow with the rates of 10% per week. Then you will get the order with bank details of a participant that you must transfer the money. The order will also have the contact details of that man, so you can talk with him if you wish and make sure, that he is real and alive, same as You are. There is no central account in GIVERS FORUM, to collect all the money of participants (and from where they could be stolen easily). All the money transfers are made directly between participants. It means that everything is quite clear and honest. GIVERS FORUM plays just a role as some kind of a dispatch, which connect the participants. Transfer the money to that participant, upload evidence of payment. He confirms the receipt, and after that Your Earnings becomes “confirmed”. That’s it! Now You can ask for help at any moment after one week. If you want to Get Help, click “Get Help” and point the sum. Another participant will get the order and he will transfer money to You, just as You did before. But don’t forget to confirm the money received, after You get the money to Your bank account. (Not before! Beware of fraudsters!) . Is it a legally registered business in Nigeria? There is no Ponzi scheme legally registered in Nigeria as at the time of this review, but when you talk about legality, it is difficult to designate givers forum as “illegal” simply because they are not registered. GIVERS FORUM is a People’s Community. People who help each other for free, and absolutely consciously, they transfer money directly to each other, from one bank account to another, without any conditions, fear or stress. They do it because they want to do it, because it is a good deal to help each other. It means the Mutual benefit fund as it is. There is no formal organization, no legal person in GIVERS FORUM. And of course there is no central bank account. There is nothing! There are only millions and millions of simple participants, simple private persons. And their bank accounts. Thus, GIVERS FORUM is absolutely legal and does not break any laws. Because there are only money transfer between private persons and nothing more. So everything is absolutely clear with the lawfulness. There are no violations and there won’t be! . About honesty, It is important to underline, that GIVERS FORUM doesn’t permit cheating or abuse of the system. In other words you cannot cheat and get away with it. Is it possible to lose money in Givers forum? Just like MMM Nigeria, givers forum have no central account or central administrators who manage funds between members, funds are transferred between members directly to their bank account. This system makes it difficult to be defrauded. The only way to lose money is when after paying a fellow member, the website crashes which will make nonsense of everything. Again should Nigerian government decide to shut down all ponzi scheme websites in Nigeria, there could be loss. Barring any of these scenarios it is not possible to lose money in givers forum. Participating in givers forum is not an investment neither is it a business, which is why it is advisable to use only “spare money” to participate should anything go wrong. I see a lot of students playing risk with their school fees hoping to make some returns, discretion should be on high alert because anything can happen at any time. While I do encourage my readers to participate, I strongly believe givers forum is better than sports betting because every member benefits (Give and Receive). If you want to register, feel free to contact me on whatsapp 08064892518, for you to get updates directly from me.